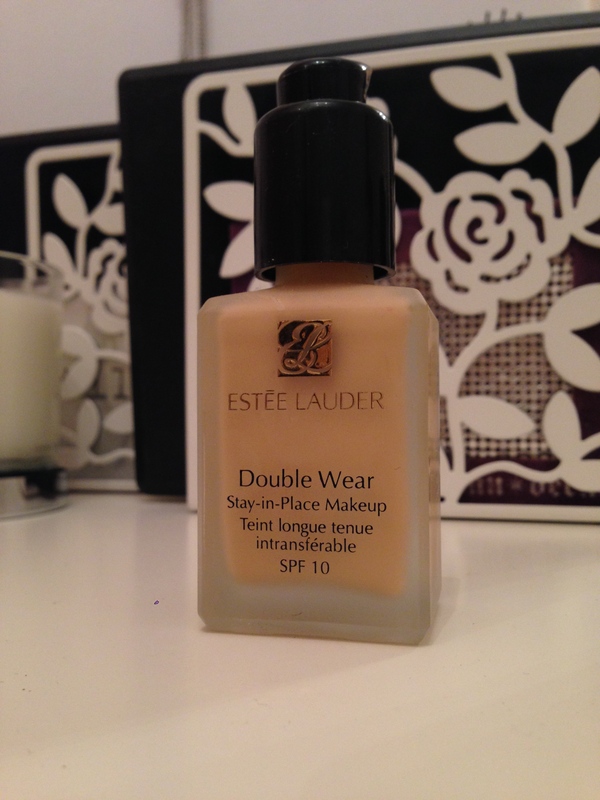 Estee Lauder Double Wear Foundation | The Foundation Diaries – The Beauty Spot. 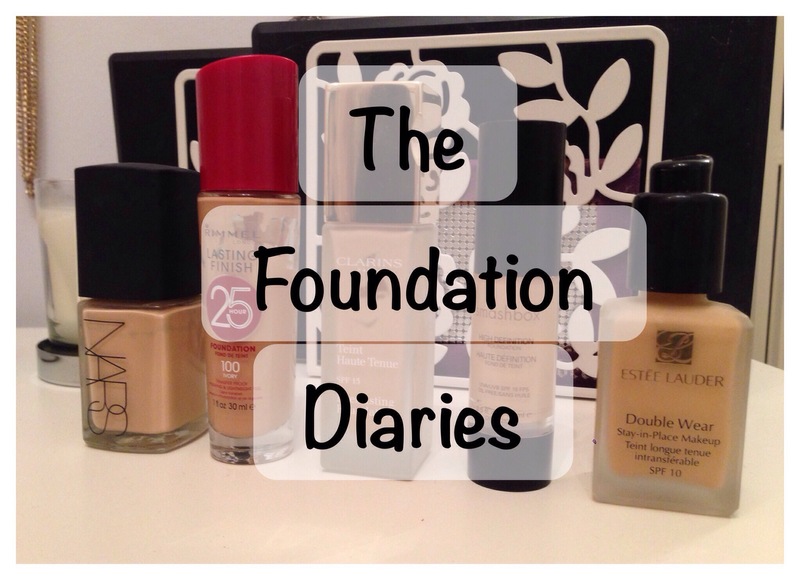 So here we have it, the ‘daddy’ of full coverage foundation! I remember pinching my Mom’s bottle of this when I was younger and feeling really grown up, the colour I’m sure was awful and it probably looked very unnatural on a 15/16 year old girl! This is classed as a medium buildable coverage foundation by Estee Lauder, and I think maybe if I really knew this before using it I may have understood why the first application wasn’t a full as I was expecting. Whenever anyone talks about a full coverage foundation, everyone always mentions “Double Wear”, so when my first application was a slightly disappointing (almost watery) finish, not covering my blemishes, I was a bit let down. I’m happy to build my foundation, but having seen Double Wear on many peoples skin (you can always tell if its Double Wear!) I presumed it was full coverage right from the get go! It gives a semi matte finish, so probably better for a combination or oily skin type. I think due to the major staying power of this foundation, again it would suit an oilier skin because it definitely will not slide away during the day! In hindsight, I don’t think my skin is the right type to wear this foundation. I have the blemishes and scarring for it cover, but my skin is actually on the dry side and always dehydrated. Despite my skin being like this, I do much prefer a semi matte finish on all of my foundations. Unfortunately my skin really did not agree with Double Wear. I wore it for a few days and liked the staying power but I was convinced I was getting more spots after I had worn it. So I gave it a break and didn’t wear it for about two weeks and let my skin calm down. I then wore it again for a night out, I swear it was on my skin for about 5 hours and when I got home I had 3 under the skin, bruise-like spots on my face that I didn’t have at at the beginning of the night! There must be something in it that just doesn’t agree with me. One other thing that puts me off this foundation is also the smell. Its very similar to MAC Studio Fix, which I thought smelt like children’s paint. The other foundations I’ve reviewed this week all have quite pleasant smells, I’m a bit of a sucker if something smells nice. This is another one without a pump when its purchased. But you eagle eyed beauty lovers may spot that my picture shows this with a MAC pump. So if you purchase this and want a pump and have a spare MAC one lying around, you’re sorted! All in all I don’t hate this foundation, but similar to the Rimmel one, I find that the NARS and Clarins ones work for me much better. Have you used Double Wear? What are your thoughts?